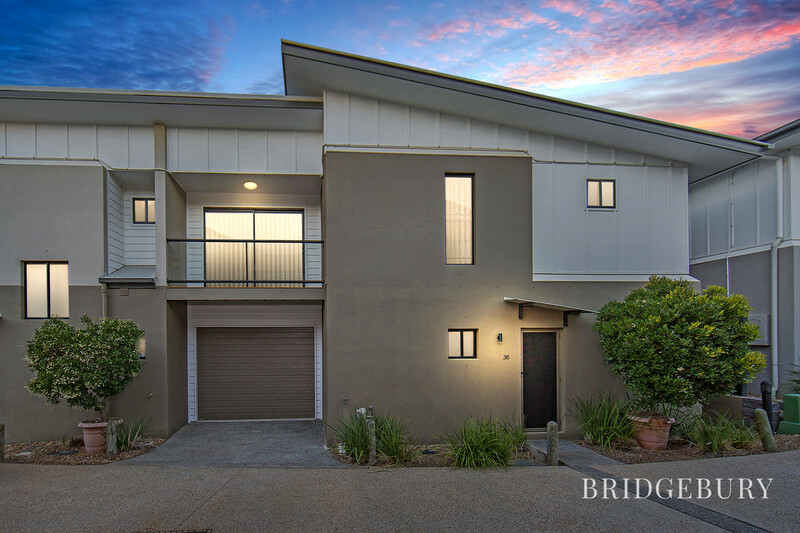 We are delighted to present to the market this unique, spacious townhouse located in the exclusive and sort after peaceful enclave that is Duyvestyn Terrace, Murrumba Downs. 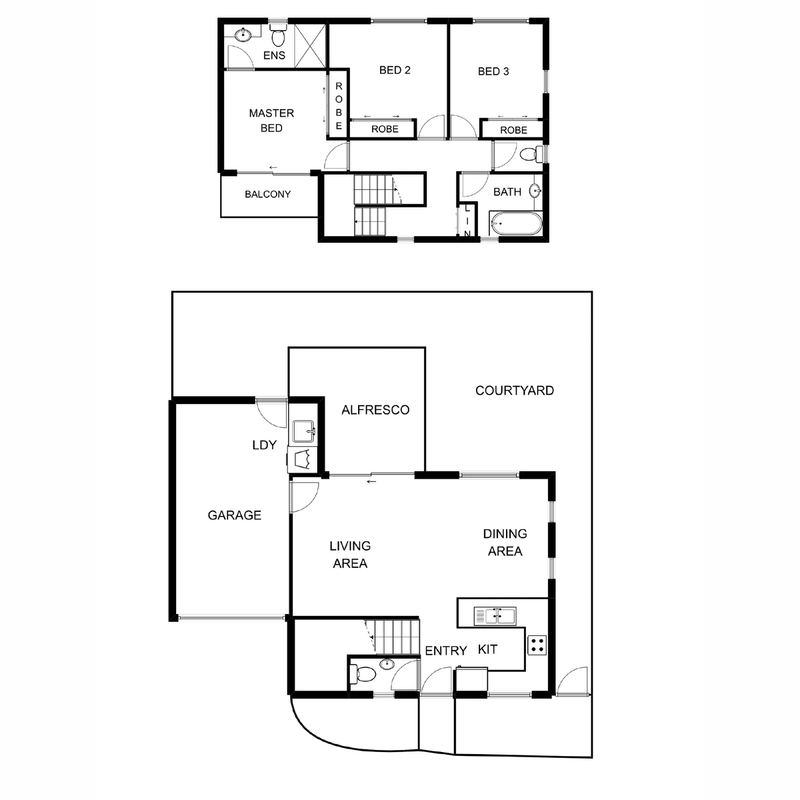 If you are looking to buy a townhouse to call home or looking to invest in a property with exciting prospects, then I really would advise that you read on as this 8-year-old Kensington is currently offered with vacant possession, ready to welcome its new owners. 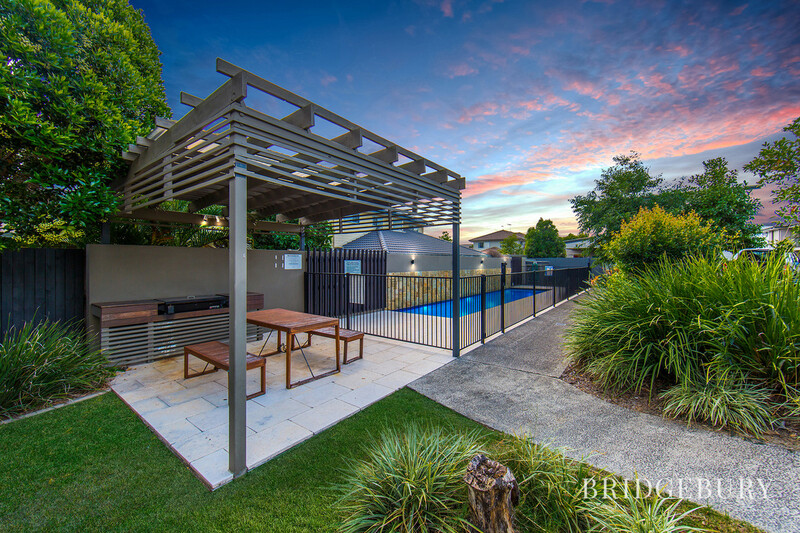 A quiet, gated complex with a unique terrace configuration and gorgeous shared swimming pool plus barbeque area in addition to its convenient location placing it within a few minutes’ walk of Murrumba Downs State College, Undurba primary school and the Kallangur railway station makes this, in my opinion, the finest townhouse site in 4503. Entering this lovely property and the first thing that you notice is the lovely open and spacious feel which is aided by stunning 9ft ceilings, open plan living and a generous serving of windows which allow the natural daylight to flood throughout. 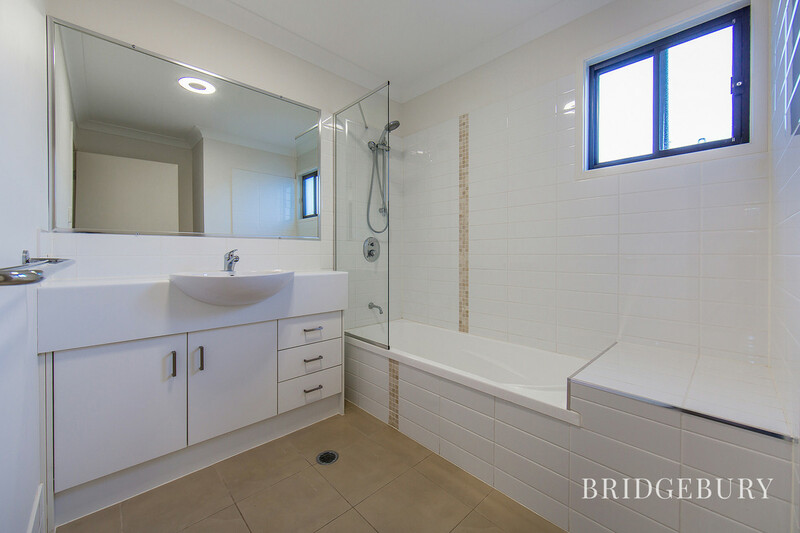 This theme continues throughout this property with dual aspect windows in practically every room. 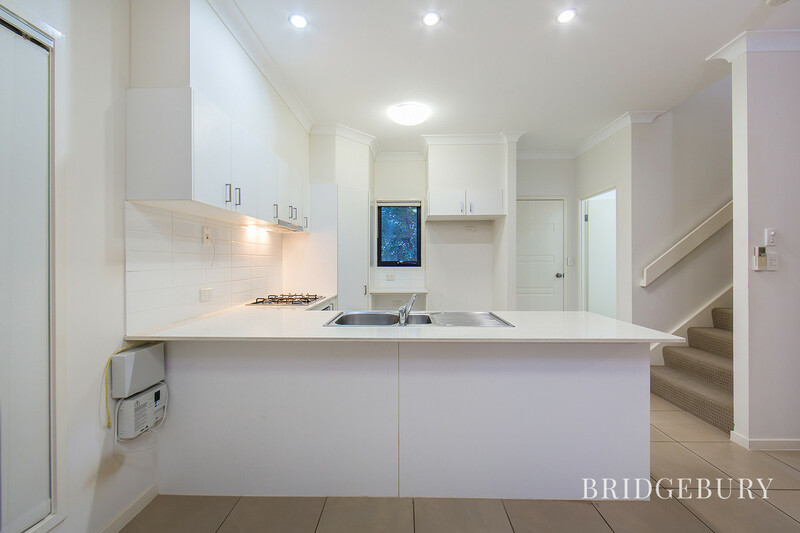 With Cesar stone quality benchtops and finishing’s, this kitchen is not the average that you may expect to find offering a spacious and quality hub for the chef of the household to whip up culinary delights. 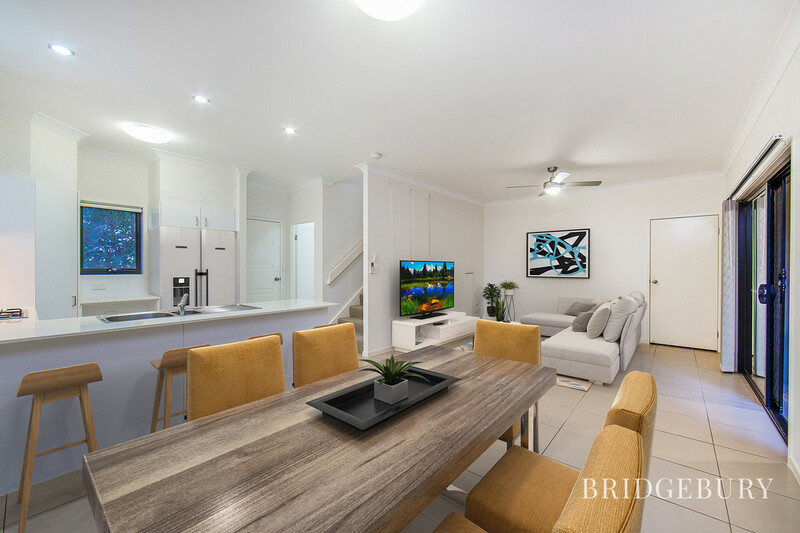 The main lounge room/ dining area is Air Conditioned to guarantee comfort throughout the year and offering access via double sliding patio doors to the outside undercover entertaining area and private yard with rainwater tanks and enough grass to keep the puppy happy. 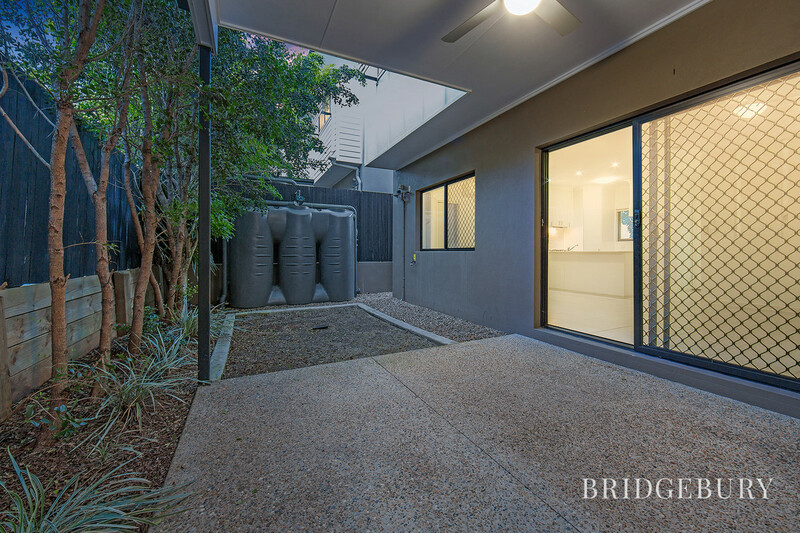 With internal garage plus laundry access, ground floor powder room and storage not to mention security screens throughout, the essentials are covered. 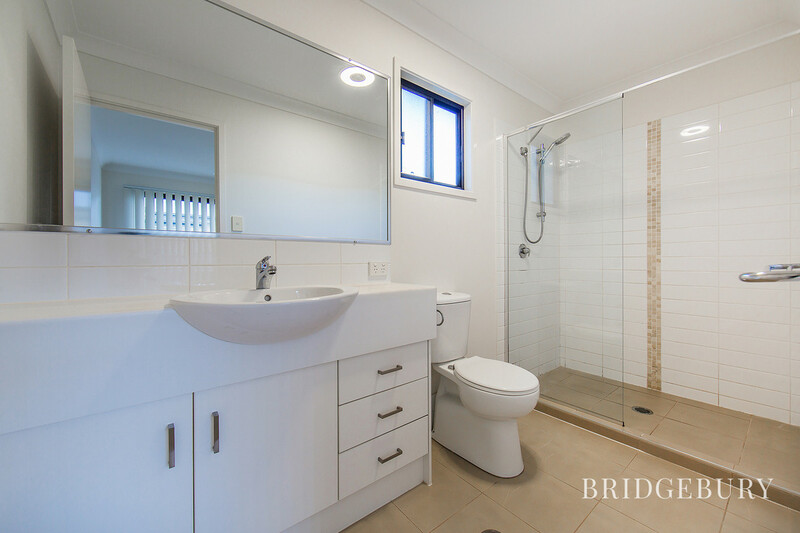 Head upstairs where you find the modern, quality main bathroom plus separate toilet and three great sized bedrooms all boasting built in robes. 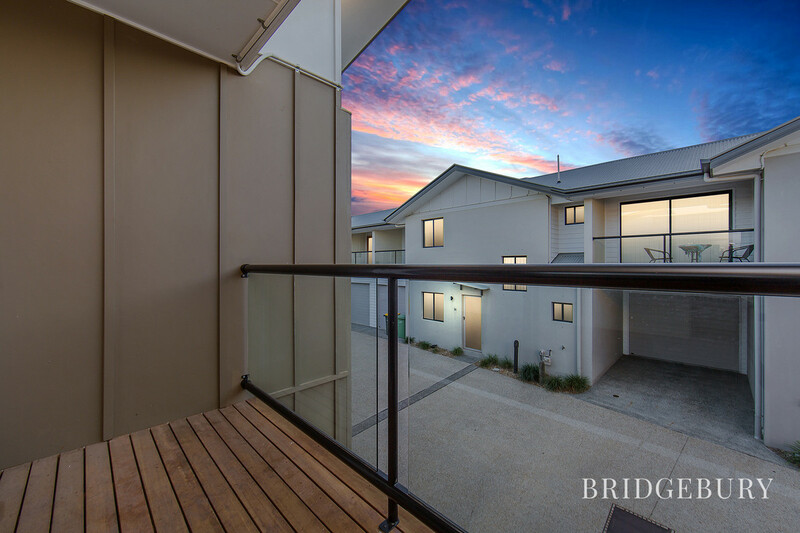 The master offers a real touch of luxury with access to a front aspect veranda and private terrace to relax and enjoy a glass of wine after work whilst appreciating the cooling breezeways. 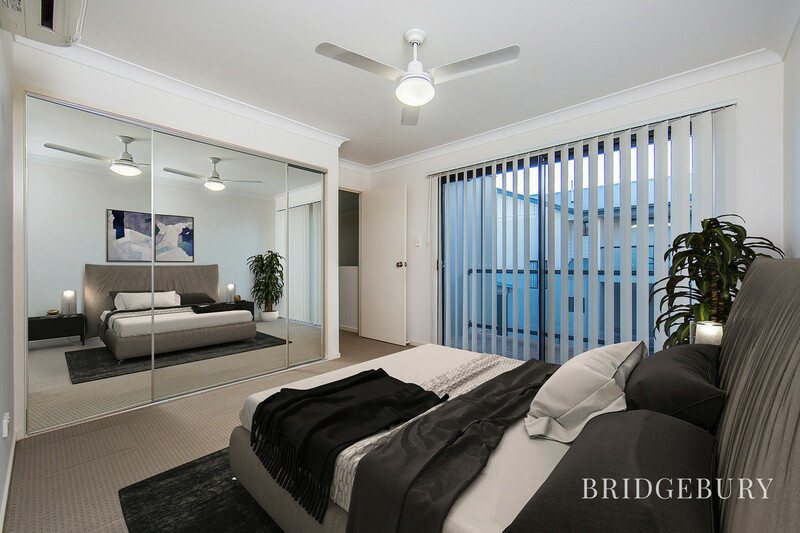 With ceiling fan, A/C and en-suite there’s no compromise to comfort here! 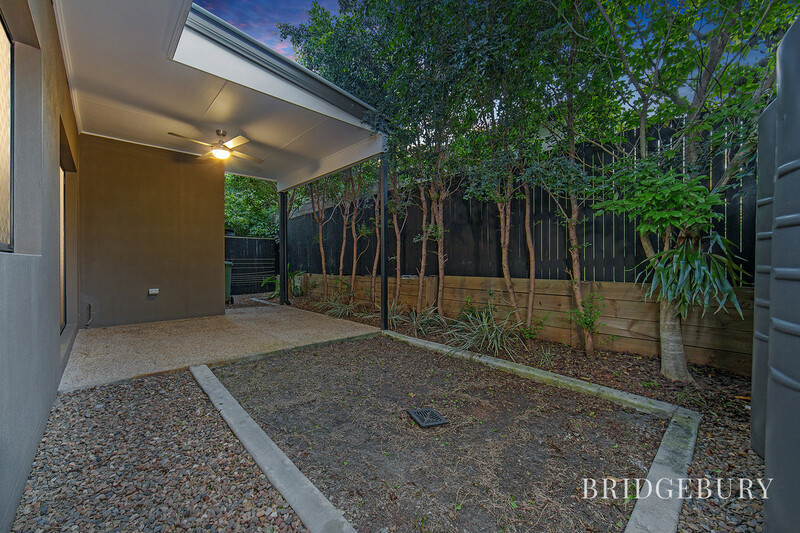 This lovely property is located a few minutes’ walk to several great schools, and two railway stations being located at Murrumba Downs and Kallangur. 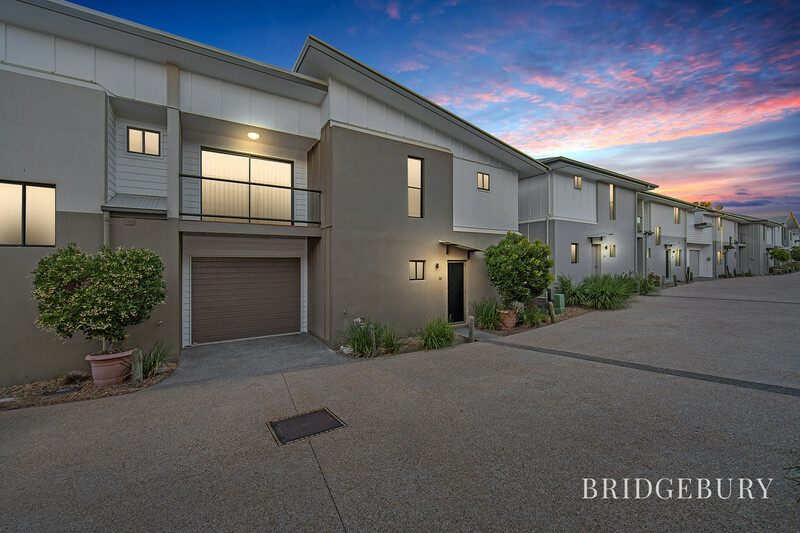 The M1 is within a three-minute drive placing our location within 30 minutes of the CBD, 20 minutes to Brisbane Airport and 35 Minutes to the Sunshine Coast. 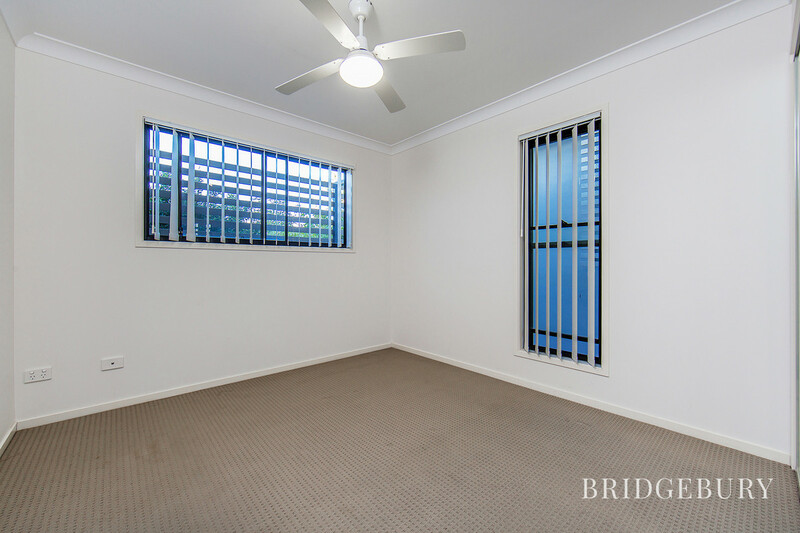 Nearby shops can be found at Kallangur and Murrumba Downs along with excellent medical facilities. 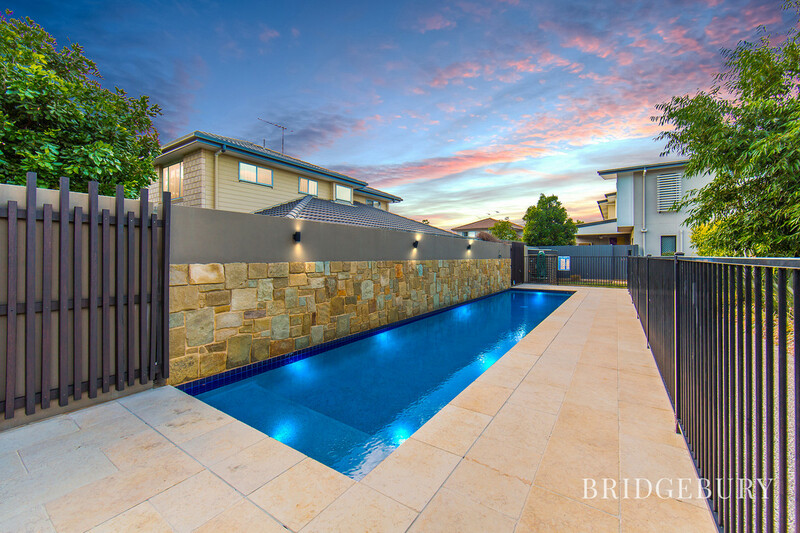 For those chasing a little more retail therapy, Westfield Northlakes is within a five-minute drive and is home to almost every conceivable retail and dining option including Ikea, Costco and Event cinema. With the Sunshine Coast University coming to the neighbouring suburb of Petrie, the growth prospects here are pretty exciting! 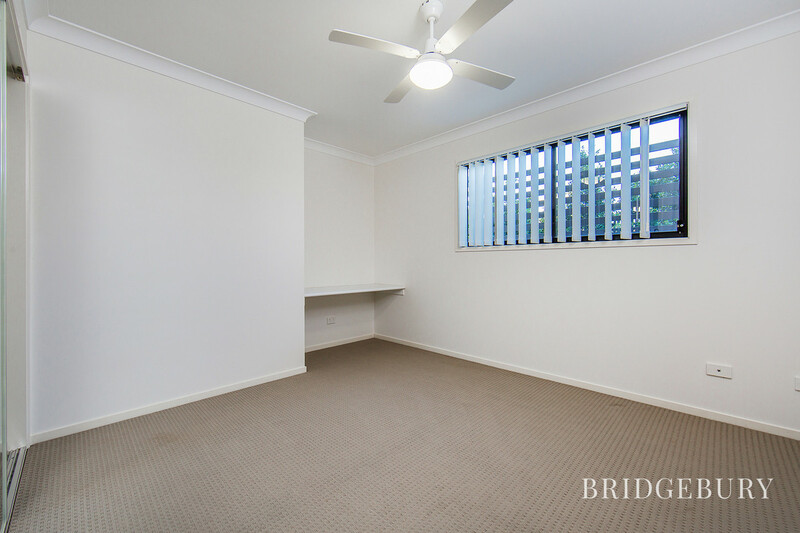 Ok for the investor this townhouse would expect to achieve $350 per week and has been occupied from day one until this point. Body corporate is a sensible $3,200 per year. Its rare to offer one of these pet friendly properties with vacant possession and I would welcome any enquiry or inspections at your earliest convenience.